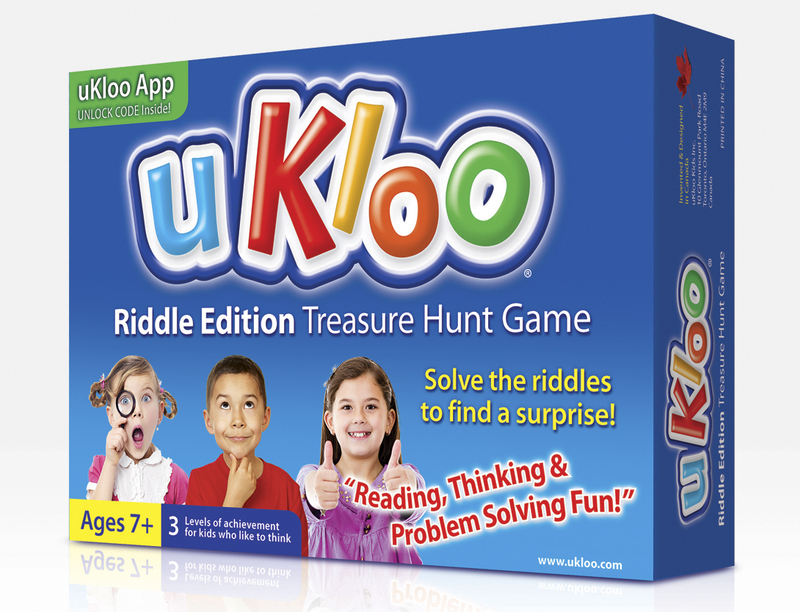 I just got this really fun treasure hunt game from Ukloo Kids. This is super fun. Inside you get a bunch of clue cards you can use these to make a treasure hunt around the house. Each clue leads the kids to a common items found around the house. You can leave a new clue at each item. They also include some notepads so you can make up your own clues as well as make up some prizes. My kids loved this game, we had fun playing it and figuring out the clues. It comes with 3 different skill levels so I have older kids and younger kids so I can set up a puzzle hunt for each of them. My six year old was so excited about playing this she kept asking me to do another one for her. My older kids had fun doing this a few times then lost interest. So I would say it’s more for the younger group maybe 5-9 years old. It’s a lot of fun though. It includes a manual for all the clue answers too so if you get stuck on what one is you can look it up. Fun game! Great Gift idea!